Rose Dorn's debut EP is easy to get lost in. 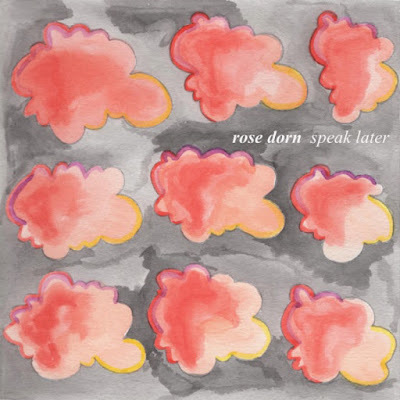 Rose Dorn, a four-piece band from Los Angeles, state their presence quietly but firmly with their new EP, Speak Later. The release is a combo of all your favorite things — country twang, shoegaze sensibilities, and bedroom pop brazenness. Rose Dorn’s songs are well-suited to their length—running each between four and five minutes—as their hazy, cycling rhythms are easy to get lost in and difficult to get bored of. Speak Later kicks off with “Dirt,” a lackadaisical tune that builds on the current trend of country/folk-influenced indie rock with its slow, loping beat. Listen to Rose Dorn on bandcamp. Jess is a college student from Nashville living in NYC. She enjoys February, tape hiss, and peanut butter cups. Find her tweeting self-consciously here.